Following today’s announcement from Epic Games, containing more than a dozen storefront exclusive releases, it has emerged that The Outer Worlds will come to Steam one year after its launch on “other exclusive digital PC platforms,” according to The Outer World’s Steam page. 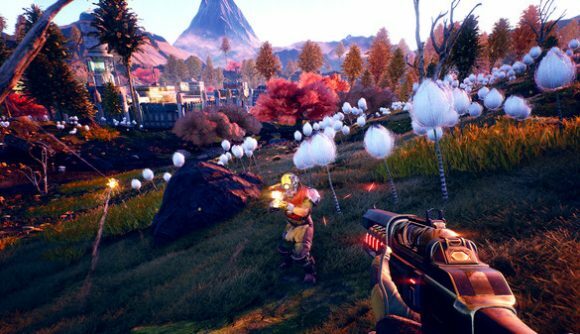 The Outer Worlds will feature a player-driven story – where your choices affect story development, your character build, and the end game. The game also explores the idea of character flaws, as you’re debuffed against common enemies in exchange for an immediate perk. While debuffs can be frustrating, this unique approach to character building could add a fresh layer of depth to the experience. Your journey in The Outer Worlds will see you explore the corporate colony of Halcyon. Along the way, you’ll have the opportunity to build your own crew, each member boasting unique abilities, motivations, and ideals. While information is sparse, Obsidian’s game is already an alluring prospect, and one that threatens to shake up the RPG template we’ve come to recognise. Here’s everything we know ahead of The Outer World’s release date.